From Persepolis to Beijing's Forbidden City, Power in Stone explores cities built as symbols of military, political and economic power. Empires have always built cities in their image. From ancient Persia to the Third Reich, imperial powers have sought to reflect their power and influence through a show of magnificence and a reflection of their values. The transposition to stone of the whole imperial edifice has been found throughout the ages to be an effective way both of overawing the populace and intimidating its opponents. It can take the form of statues, pictures, temples, palaces and grand monuments of many sorts. All combine to produce the necessary justification for the wielding of power. It is in the city as the centre of power that all these things can most effectively be brought together and combined into a powerful statement. It is there also that the power displayed can be wielded to greatest advantage. 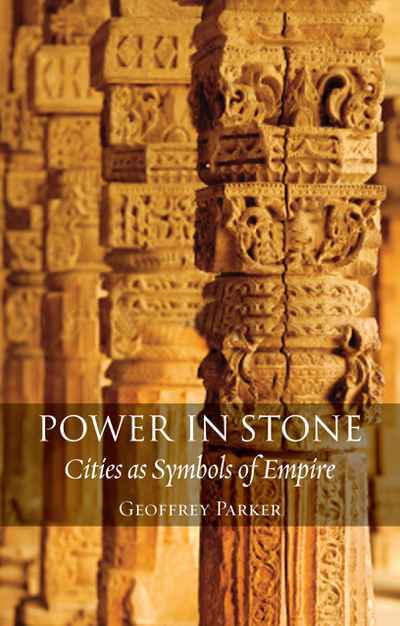 Geoffrey Parker breaks new ground by tracing the very nature of power through history, exploring the symbolism of these empire-reflecting cities from Persepolis to Constantinople, St Petersburg, the Forbidden City in Beijing and Delhi. Considering the imperial leaders as well as their architects and engineers, he creates a new understanding of the relationship between buildings, design and power. The book concludes with an examination of the changing nature of power in the late twentieth and twenty-first centuries and the way in which this is reflected in contemporary symbolism.